Kagamigami began in Weekly Shonen Jump #11 by experienced mangaka Toshiaki Iwashiro, most known for his previous work, Psyren. 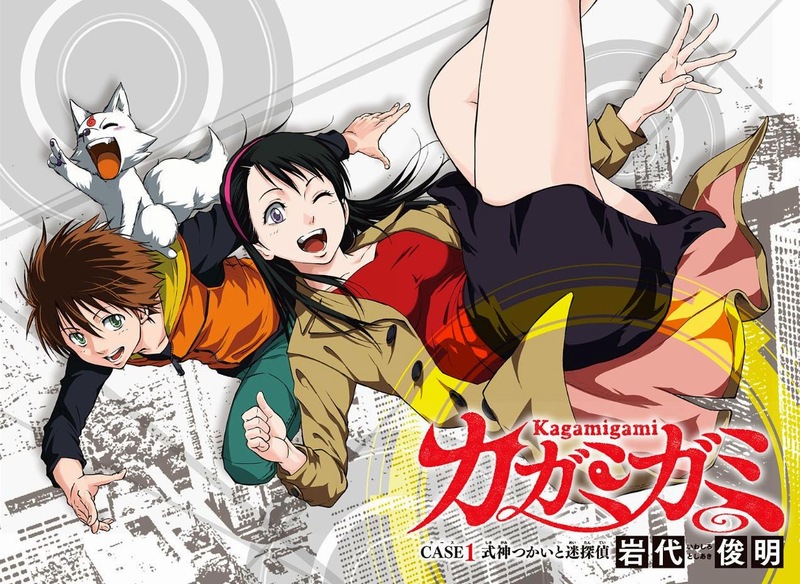 Kagamigami is based on the Shikigami Twilight Days oneshot that Iwashiro created in 2014. The series explores the supernatural and the Japanese interest in Onmyouji & Shikigami. Kagamigami has a good balance of action, comedy and an intriguing plot to draw readers, but it lacks an overall goal or objective. Of course as the series is just starting it has room to grow into a loved series. I personally find Iwashiro's previous work, Psyren, to be more interesting.